Difference between revisions of "Orange"
Oranges can be naturally found in forest [[biomes]] alongside with [[apple]]s and are very easy to collect, using just your bare fist. Oranges heals 2 hunger points each. 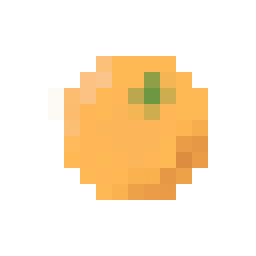 Oranges can be naturally found in forest biomes alongside with apples and are very easy to collect, using just your bare fist.